Welcome to the Community Wellness Collective! 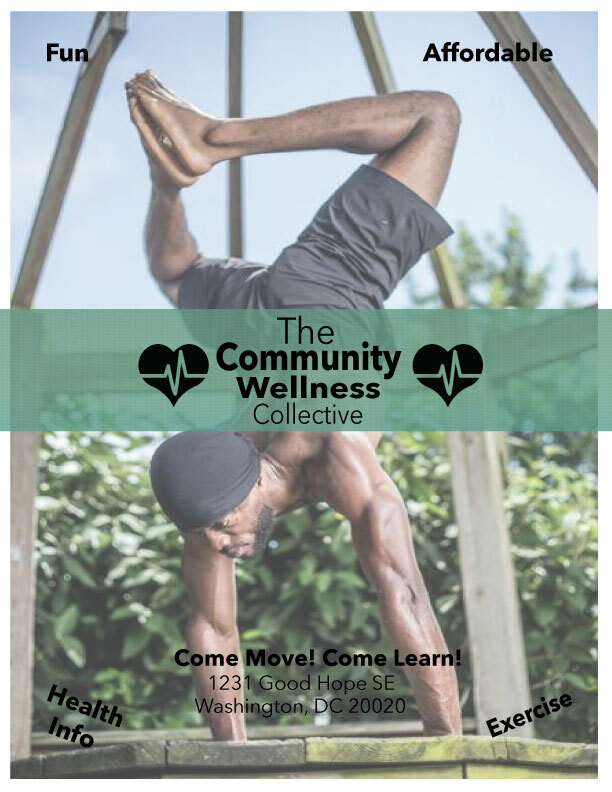 Welcome to the Community Wellness Collective (CWC)! where our motto is Come Move! Come Learn! The CWC is a low cost, community-based health and wellness program that aims to get people moving and learning about basic health promotion and disease prevention. 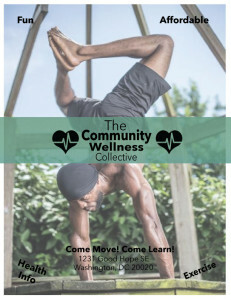 The CWC is unique because in addition to improving access to affordable exercise we aim to increase health literacy in among Washington, DC residents. Health literacy is the ability to understand and use health information. We hope to improve health literacy through interactive educational sessions with renown physicians and health educators in the DC metro region. Over the next several months the CWC will expand its programming to match the needs and requests of the community. We welcome your feedback about the kinds of programs you would like to see. We want to hear from you so drop us a line!